Reliable Roofing company of South Bend performs metal roof installation on a daily basis. 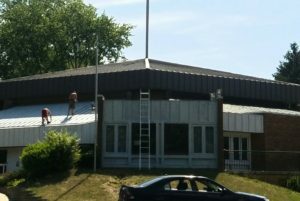 You have seen these going up all over town, we are responsible for many of them and would love the chance to explain the benefits of metal roofing to you. Metal roofing is our specialty. 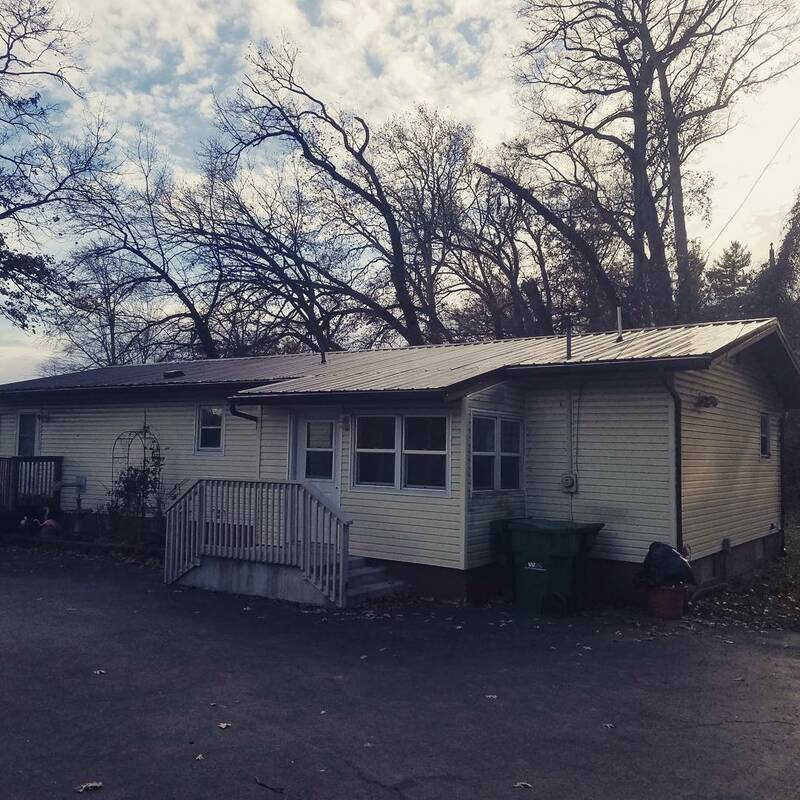 Our installers are the experts in metal roofing for the greater South Bend area. Metal roofing is considered the first choice for many contemporary homes and businesses in climates with active weather. This material is becoming a favorite around South Bend. Metal is a superior roofing product, available in a wide choice of colors and designs. With a metal roof you get a stunning look plus long life and low maintenance. 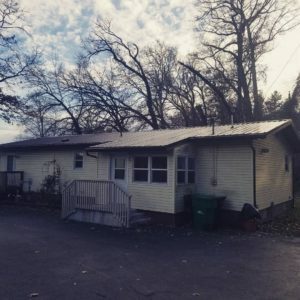 Your roof is a critical system. It protects your home and family from harsh Midwest weather. Reliable Roofing offers a complete selection of metal roofing materials and solutions. Metal roofing does not rot, crack, split, warp, curl, chip or erode. It is resistant to thermal shock, decay, discoloration and even mildew. Other roofs can require frequent maintenance, metal roofing offers decades of performance with little or no additional time or expense. Say goodbye to cracking asphalt shingles, broken tiles, and waterlogged wood shakes. Metal Roofing is the superior roofing material. 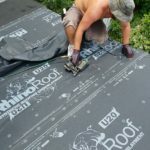 It is the best choice for most roofing needs. Reliable Roofing is ready to fill that need with quality service and a lasting commitment to your satisfaction. Central States has several panels designed to both look great on your home and outperform traditional shingles. Do you like the classic look of Panel-Loc Plus? Maybe your area is more prone to hail and you need the extra dent protection that comes with M-Loc or Central-Snap. Whatever you need, we’ve got you covered. These roofs give residential, agricultural, and light commercial projects the protection of steel with an attractive appearance. It features an extra striation on top of the rib to give it superior durability and protection against leaking. Horizon-Loc allows you to have a beautiful roof without a single screw showing, giving you the benefits of a standing seam roof for less. The panel uses a snap together system allowing for rapid installation without mechanical seaming, resulting in a less expensive labor cost than traditional standing seam panels. It is ideal for residential roofing and light commercial applications applied over solid decking, and its durability ratings may lower insurance rates to save you money. Reliable Roofing specializes in providing quality metal roofing for repair work and new paneled roof construction while proudly serving the South Bend, Mishawaka, Granger, and Southwest MI areas. Talk to our experts today to determine the best choice for your home and budget. We look forward to updating your home or commercial property.